An invitation to think BIG! 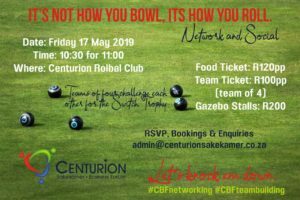 The Centurion Business Forum is excited to announce the launch of the CBF Academy. We invite all of our members to attend this historic event! 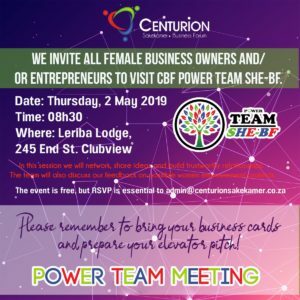 Venue: Leriba Hotel, 245 End Street, Clubview. "By Educating yourself you grow larger than your own belief". Please also note that it will be our AGM and we invite members to participate in the proceedings.